Once upon a time, a girl with the not-so-mysterious name of Abigail found a book that opened a portal between the worlds. 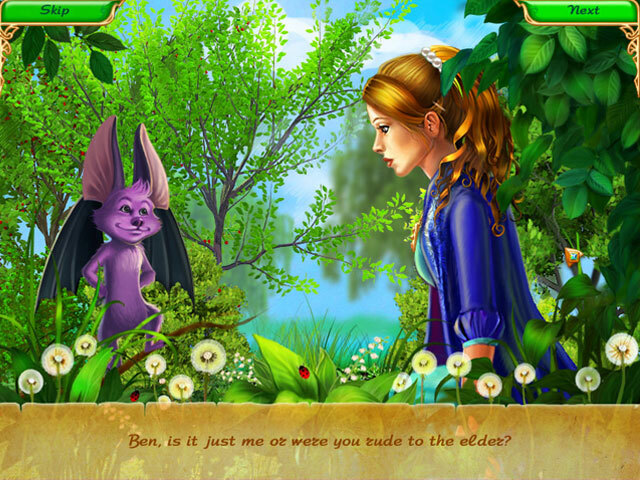 In the new world, she meets a bat who becomes her only friend and helps her save the kingdom! In order to return to her world, Abigail must recharge her magical medallion. 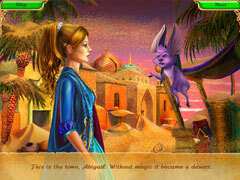 And the only way she can do that is by restoring magical fairs, vanquishing cruel monsters and saving the kingdom. 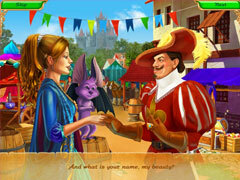 You’ll need strategy, the influence of a good reputation, smiles, and wizardry in Abigail and the Kingdom of Fairs.